Ottawa, ON: Women's Royal Canadian Naval Service, 1944. Paperback. Near Fine. 1. The Tiddley Times, 12mo (7 inches tall), pp. various, illustrated with line drawings, photo reproductions and portraits by Lieutenant Grant Macdonald. 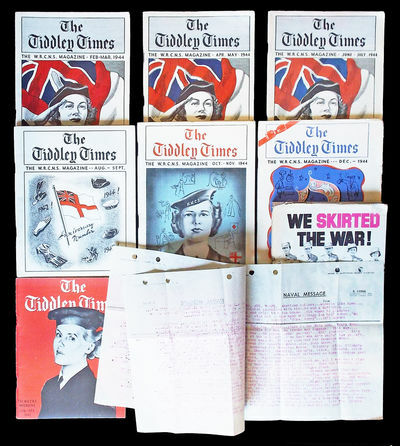 A nice, unbroken run of The Tiddley Times (April/May 1944 - Jan/Feb 1945), 7 issues complete. 2. An uncredited, three page story titled "We've Been Waiting For You Canada" (n.p./ n.d.) typed in red ink onto "Naval Message" India paper stationary (7-5/8 square - hole punched, stapled and folded), describing the women's journey by steamer and train from Canada to their London West End barracks. The Feb/March '44 issue herein states on p. 31 "3rd draft arrives in UK ... in Feb", which coincides with the letter's title of "We've Been Waiting For You Canada" as well as the timing - so likely the story dates from then. 3. A copy of We Skirted the War by Phylis Bowman, 8vo (8-3/8 inches tall), pp. 133, illustrated with B&W photo reproductions and line drawings. Good. Stains to a few pages, wear and sticker abrasion to dust jacket. 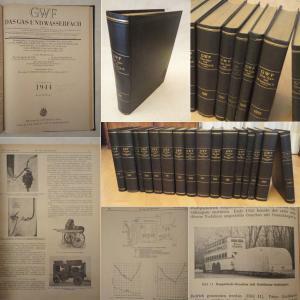 A small but focused collection of these "snapshots" of the lives of the working WRCNS during wartime, with art work by the Naval Art Service and Portraits by Royal Canadian Academy member Lieutenant Grant Macdonald. Each issue is informative, sharing the latest news by, for and about Canadian women at war - both those at home and those serving at their various stations abroad. The final issue of The Tiddley Times was Dec. 1945, exactly two years after the first (as yet unnamed) issue in Dec. 1943. The typed letter likely served as an in-service announcement of the arrival of the latest contingent of WRENS to the UK from Canada. Also included is Phylis Bowman's autobiography "We Skirted the War" who served in the Canadian Woman's Army Corps during the same period. 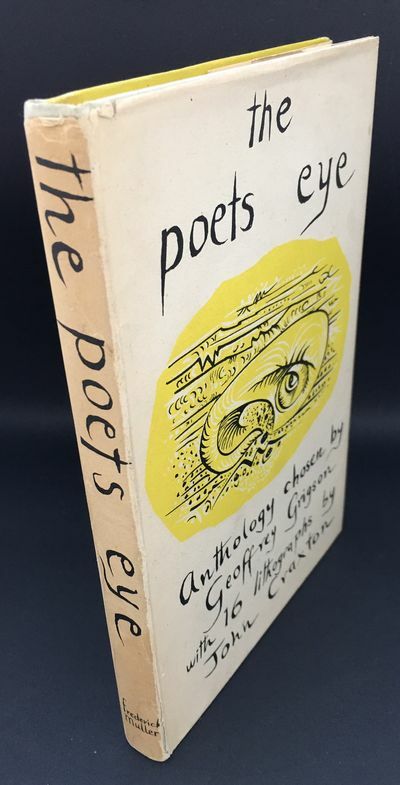 The First UK Printing published by Frederick Muller in 1944. 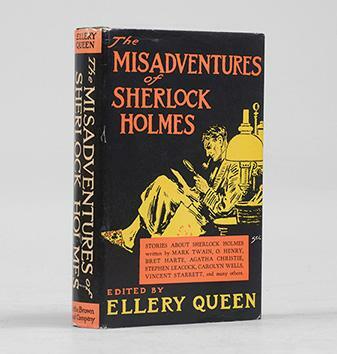 The BOOK is in near Fine condition and appears unread. Light toning to the text block but free from inscriptions, erasures and markings. All 16 John Craxton lithographs are present and are in Fine condition. 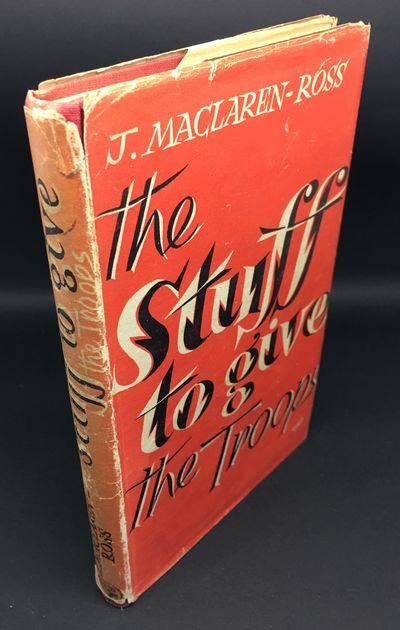 The WRAPPER is price-clipped and is in near Fine condition. One closed tear to the lower front spine fold and a tiny slither of loss at the upper spine. Very light toning to the spine and far less than usually encountered. The Craxton designed wrapper looks very striking in the removable Brodart archival cover. One of the nicest copies we have handled to date. Scarce with such attributes. More images available on request. Ashtonrarebooks welcomes direct contact. Lumière, Auguste, French co-inventor of photography (1862-1954). Autograph letter signed. à "mon cher Général". Lyon, 26. XII. 1944. 1944. 2 pp. 8vo. To "mon cher Général". - On headed paper. , 1944. 1944. unbound. 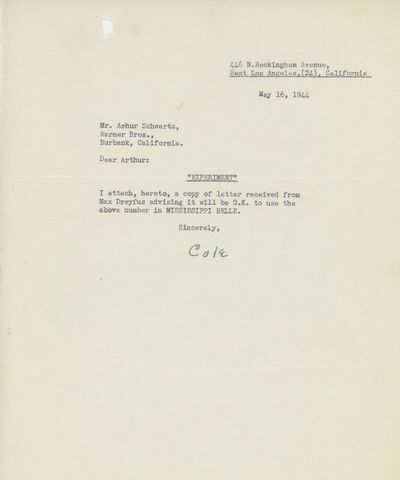 Inscribed in a calligrapher's hand: "To E.L. Alperson, for his help in the fight against infantile paralysis," no date, circa 1944. Alperson (1895 - 1969) was an American film producer at Warner Brothers who later formed Grand National Distributors as an outlet for independent films in the 1940s. In 1942 he became the general manager of RKO Pictures' theater circuit, and it is likely that his work with the March of Dimes earned him this personally signed engraving from the President. 13.75 x 10.5 inches, set in a gorgeous wood burgundy stained frame measuring 17 x 14 inches. Roosevelt has signed this boldly with a brown fountain pen. The engraving has a few scattered small spots, but is still in near fine condition. 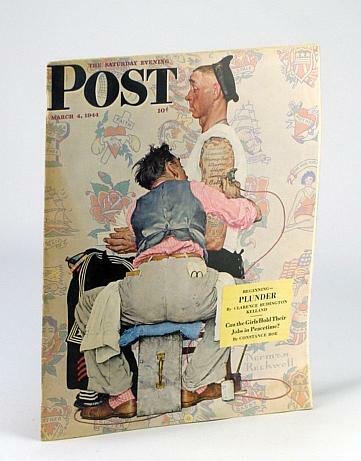 Evidence suggests that Roosevelt signed this piece in early 1944. In February 1943, motion picture theaters organized a drive to raise funds for the March of Dimes. On his birthday (January 30) in 1944, Roosevelt signed lithographs such as this one in order to thank those whose work helped make the drive successful. According to auction records, Roosevelt presented a similar engraving to Frank Meyer, an executive at Paramout Pictures Corporation. Accompanying Meyer's engraving when it was sold at auction was a copy of a book titled "So They May Walk Again...A Book of good Deeds / Report of Collectors by Motion Picture Theatres / March of Dimes / February 18 to 24, 1943 / In Co-Operation with National Foundation for Infantile Paralysis. Los Angeles: Twentieth Century-Fox, 1944. 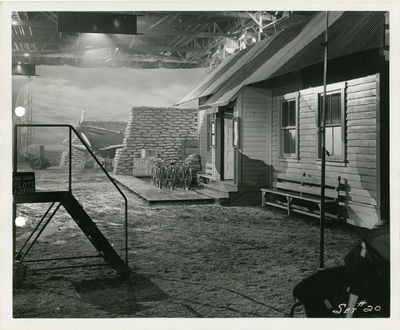 Collection of 66 vintage keybook set design photographs from the 1944 film. Original brown front card wrapper present, with film title printed on the wrapper. A film based on the true experiences of the writers, who were performers with the USO. Francis, Landis, Raye and Mayfair traveled to England, Ireland and North Africa in 1942 in order to perform for the Allied armies during World War II. This film recaptures the performances and hardships they faced. Set in Europe and North Africa. 8 x 10 inches (20.5 x 25.5 cm). With two hole punches at left margin as called for. Bound with a silver prong binding. Near Fine. Complete collation details available on request. Hirschhorn, p. 240. Davenport, p. 140. Washington, D.C., 1944. 4to. Fine. 4to. SIGNED BY "DOC" BALL. Signed on the cover by legendary Surfer anf photographer "Doc" Ball who died at 94 in 2001. 214 pp. 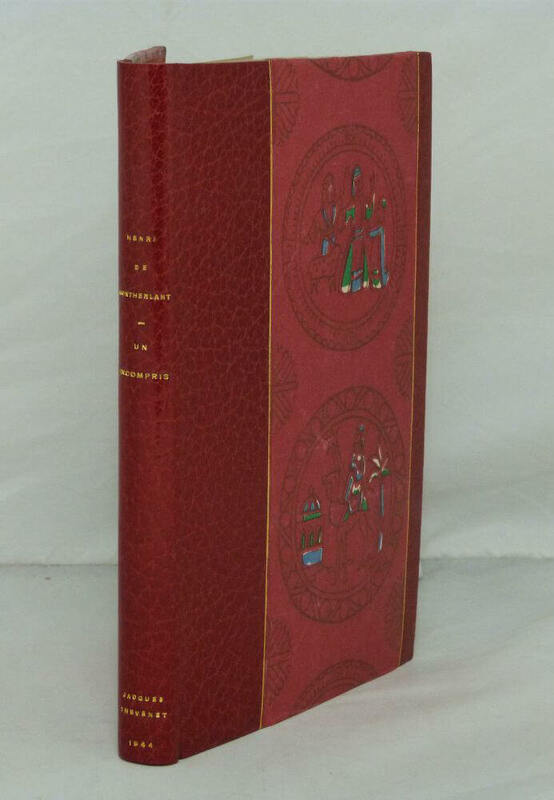 Paris, 1944, in-8, 214 pp, cartonnage d'éditeur d'après une maquette de Mario Prassinos, Édition originale numérotée. Un des 1000 exemplaires (n°420) reliés d'après la maquette de Mario Prassinos. Bel exemplaire. Accident sur un coin, intérieur très frais. Dollenstein. [Häuser an einem Fluß]. Orig.-Aquarell. 32 x 25, 5 cm. Schüttler, Wien 1944 vgl. Thieme-B. XIX, 582f. Antiquitäten-Rundschau 23. Jg. 1925, Nr. 24 - Frühe Arbeit! A. d. Rückseite ein eh. Echtheitszertifikat a. d. Hand v. Robert Kasimir, dat. 1973. MILTENBERG AM MAIN - KASIMIR, Luigi. Graphiker (1881-1962). Orig.-Bleistiftzeichnung. 17 x 13, 5 cm. Schüttler, Wien 1944 - Zeichnung für eine Menukarte f. d. Hapag-Lloyd. Sie zeigt den Marktplatz von Miltenberg am Main, Bayern. Vom Künstler eh. signiert u. bezeichnet. Orig.-Bleistiftzeichnung. 17, 5 x 12, 5 cm. Schüttler, Wien 1944 - Zeichnung für eine Menukarte f. d. Hapag-Lloyd. Vom Künstler eh. signiert u. bezeichnet. MELK - KASIMIR, Luigi. Graphiker (1881-1962). Orig.-Farbradierung, v. Künstler eh. signiert. 44 x 58 cm. (Plattengr.). In ausgezeichnetem Zustand. vgl. Thieme-B. XIX, 582f. Schüttler, Wien 1944 Antiquitäten-Rundschau 23. Jg. 1925, Nr. 24 - Eines von 100 Expl. KLOSTERNEUBURG - KASIMIR, Luigi. Graphiker (1881-1962). Orig.-Farbradierung, v. Künstler eh. signiert. 42 x 57 cm. (Plattengr.). In ausgezeichnetem Zustand. vgl. Thieme-B. XIX, 582f. Schüttler, Wien 1944 - In der Platte dat. KREUZENSTEIN - KASIMIR, Luigi. Graphiker (1881-1962). Orig.-Farbradierung, v. Künstler eh. signiert. 45, 5 x 58, 5 cm. (Plattengr.). Breitrandiges Expl. Bis auf wenige winzige Randrisse, in ausgezeichnetem Zustand. vgl. Thieme-B. XIX, 582f. Schüttler, Wien 1944 Antiquitäten-Rundschau 23. Jg. 1925, Nr. 24 - Auf der Rückseite befindet sich ein schwarz/weißer Probedruck von einem anderen Motiv. LILIENFELD - KASIMIR, Luigi. Graphiker (1881-1962). WIEN - KASIMIR, Luigi. Graphiker (1881-1962). KÖLN - KASIMIR, Luigi. Graphiker (1881-1962). PERSENBEUG - KASIMIR, Luigi. Graphiker (1881-1962). Schloß Persenbeug an der Donau]. Beverly Hills, CA: Metro-Goldwyn-Mayer [MGM], 1944. Collection of 14 original preliminary advertising concept art sketches for the release of sultry 1944 B-picture. Executed variously in graphite, charcoal, and gouache on onion skin paper, each leaf tipped on to white paper stock at the corners, some with notations at the margins.&#11;&#11;The collection displays a variety of styles and themes, with alternatively seductive and paranoid imagery and tag lines, providing broad insight into the over-archiving advertising campaign of a smaller film at a major studio.&#11;&#11;Sheets 8 x 11.5 inches to 11 x 15 inches. Very Good or better with faint vertical and diagonal creasing to some pieces and only occasional minor splashes, general signs of light use as expected.&#11;&#11;Grant, pp. 397-398. Spicer, p. 414. 233 pp. Paris, 1944, in-8, 233 pp, cartonnage noir d'éditeur d'après une maquette de Mario Prassinos, Édition originale. Un des 1000 exemplaires sur héliona Navarre (n°581) reliés d'après la maquette de Mario Prassinos. Bel exemplaire. Coiffes et coins légèrement émoussées, intérieur frais. Typed Letter Signed about "Mississippi Belle"
XVI-557 pages, suivi d'un Saigon, SILI, 1944, in-4, XVI-557 pages, suivi d'un index français 55p. et chinois 50p, broché, Recueil de sentences parallèles tirées d'auteurs classiques chinois ou du folklore. Il constitue une introduction aux formules en quatre caractères. Les sentences parallèles prennent leurs sources dans la littérature chinoise. Appelées duilian en Chine, ou Doanh thiep au Vietnam, elles constituent un art poétique ancestral. Les sentences utilisent l'antithèse par les idées et les mots employés. Cependant, les vers doivent répondre à une symétrie dans la forme, dans les caractères (nombre) et le sens (parallélisme des idées). Le poète souligne ainsi sa pensée, grâce au contraste des mots ou des idées contenus dans un même vers ou d'une strophe à l'autre. Pierre Daudin précise la fonction de ces sentences : "Les formules en quatre caractères entrent (...) dans la composition des ming, épitaphes en vers gravés sur les stèles, dans celle des brevets impériaux". Elles sont "associées à toutes les manifestations de la vie chinoise : aux frontons des pagodes et des temples, sur les bandes de papier rouge apposées aux portes de toutes les maisons à l'occasion du Nouvel An, parmi les décorations florales qui rehaussent la pompe des grands mariages, enfin sur les bannières de deuil qui accompagnent les morts et qui relatent leurs vertus". Couverture légèrement défraîchie, quelques mouillures sur la 1ère de couverture. Newell, California / (Tule Lake): Tri-State High School Journalism Department. 1944. First. Small square quarto. pp. Illustrated. Stapled mimeographed leaves in illustrated mimeographed wrappers. Tiny chip at one corner of the front wrap, else fine. 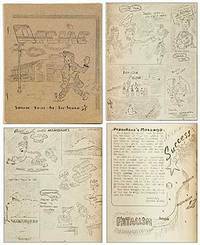 Combination high school magazine and yearbook issued by students attending school at the Tule Lake Internment Camp for Japanese Americans. "Archie" was a fictional character created by the students to represent the typical student of the November, 1944 Senior Class. He is represented throughout the magazine suffering various indignities at the hands of his fellow students as well as the usual conventions of high school yearbooks: the "Class Wills," the "Hall of Fame" (listing the Smartest, Cutest, etc. ), news of sports and events, etc. The Tule Lake Segregation Center was one of 10 camps built to house interned Japanese Americans during World War Two. Of the 10 such camps built, Tule Lake was the largest and most controversial, housing draft resisters and Japanese Americans who were considered the most disloyal. After the war it became a holding area for Japanese Americans slated for deportation or expatriation to Japan, including some who had renounced their United States citizenship under duress. Very cheaply produced for an interim Fall, 1944 graduating class. Rare. OCLC locates no copies. . 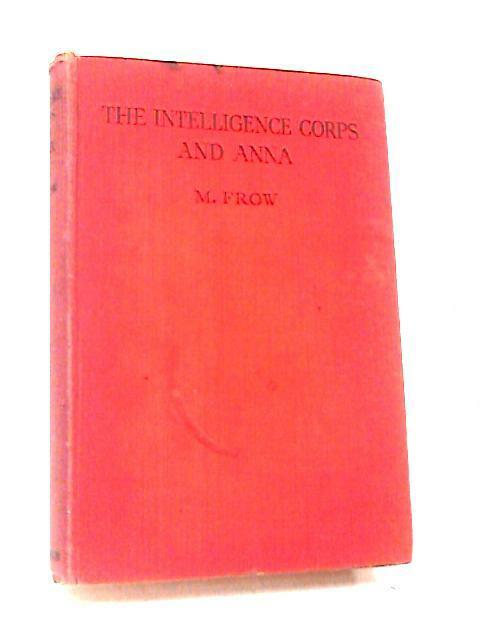 The First UK printing published by Jonathan Cape in 1944 to war time economy standards. 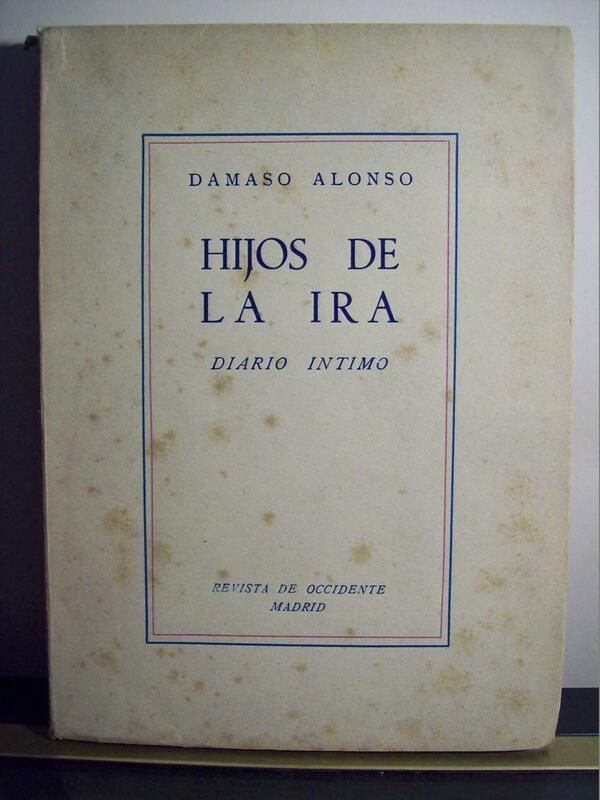 The BOOK is in Very Good++ or better condition. a little fading and wear to the spine ends. The silver titling remain bright. a little toning to the text block. Penned gift inscription to the front blank end paper. The fragile paper WRAPPER is complete and bears the correct price of 7s 6d.net. It is in Very Good+ condition. Some edge-wear with a little loss at the spine ends, rubbing to the folds and some fading of the red colouring to the spine. The Hans Tisdall wrapper artwork looks very attractive in the removable Brodart archival cover. The author's first novel and increasingly scarce with such attributes. Ashton Rare Books welcomes direct contact. Hommage 2: - Dessins de Matisse - Mtisse vu par Rouveyre - Poèmes de Paul Eluard - Frontispice de Leonor Fini. Monte Carlo, Hommage, juin 1944 - 34,3x25,8 cm. 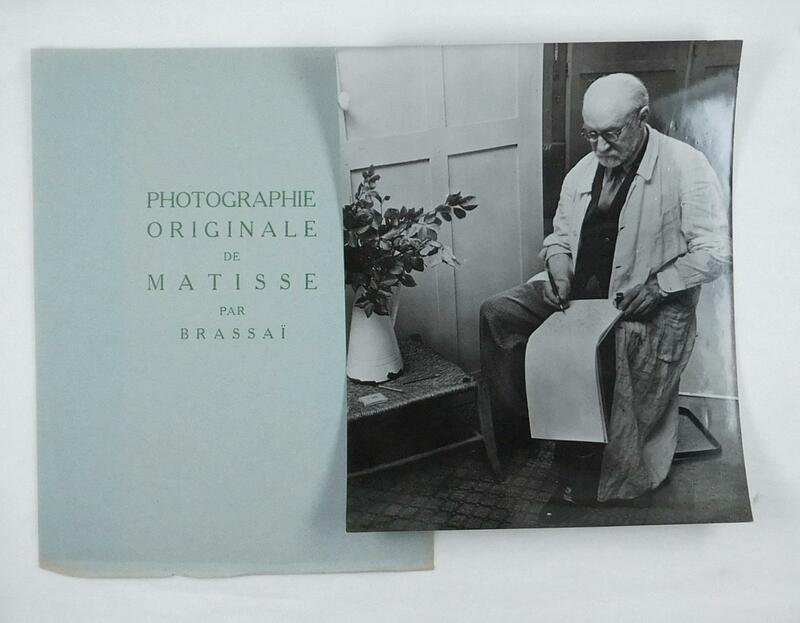 4 p.de texte, 7 p. avec dessin de Fini et le facsimilé des poèmes d'Eluard, 1 feuille de protection imprimée "Photographie originale de Matisse par Brassaï", 1 foto, 8 feuilles de reproductions sur Johannot, 2 feuilles de reproduction sur papier transparent. En feuilles sous couverture imprimée. Originalausgabe der seltenen von Philippe Fontana herausgegebenen luxeriösen Kunstzeitschrift, von der nur 2 Nummern erschienen sind. Mit der schönen Originalfotografie von Brassaï. Vorliegendes Exemplar ohne Nummerierung und mit 9 statt 11 Batt Zeichnungen. - Umschlag fachgerecht am oberen Kapital restauriert. Erste Textseite mit einem Abklatsch der Einbanddecke. Autograph - - Pabst, G[eorg] W[ilhelm], Filmregisseur (1885-1967). 4 hs. Briefe an seinen Neffen Christian Broda (1916-1987), dat. 9.Juli 36 (Paris), 1. Okt, 37 (Paris), 25. Juli 44 (Berlin), 2. Nov. 45 (Fünfturm). Inges. 10 Seiten, dazu ein gestemp. Kuvert (Berlin 1944) sowie ein Orig.-Foto, das den Regisseur "auf der Fahrt von Venedig nach Wien 1948" aus einem Eisenbahnfenster blickend zeigt. Die Briefe befassen sich mit der Erziehung von Papsts älterem Sohn Peter (durch seinen Neffen), aus Berlin berichtet "GW" 1944 über ein Drehbuch, das"von jedem, auch dem künstlerischen Standpunkt neutral ist.." (wohl "Der Fall Molander"), über Auguste Barth-Reuss ".. sie hat ja in Deiner Sache uns geholfen, durch ihren Freund, den Wiener Kriegsgerichtsrat... Zuletzt schreibt er vom seinem Gut Fünfturm in der Steiermark .. "Für mich giebts natürlich keine Wahl für die Wahl !! ..." Die erste Nationalratswahl in der Zweiten Österr. Republik fand am 25. November 1945 statt. Die Konservativen (ÖVP) unter Leopold Figl gingen knapp und auf Grund der Wahlarithmetik als Sieger aus der Wahl hervor. Christian Broda war 19 Jahre lang Justizminister und verantwortlich für die wesentlichsten Justizreformen im 20. Jhdt., insbesondere im Familien- und Sozialrecht. Orig.-Aquarell. 17 x 24, 5 cm. Schüttler, Wien 1944 vgl. Thieme-B. XIX, 582f. Antiquitäten-Rundschau 23. Jg. 1925, Nr. 24 - A. d. Rückseite eine Orig.-Bleistiftzeichnung Kasimirs: "Riegersburg", dat, 99. Beide Arbeiten v. Künstler eh. signiert u. bezeichnet. n.p. : n.p., (ca. 1944). Approximately 13 1/2 x 10 1/4", oblong. 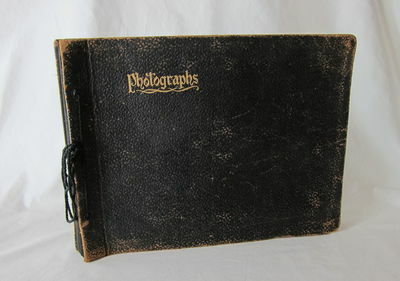 Commercial black pebbled leather screw-post binder with general wear to covers, top cover with gilt lettering, 35 leaves of black construction paper with 132 black and white photographs, some 2" x 2", most larger, three blank leaves at rear, captioning to approximate 27% of the images, some photos show yellowing and fading but most are quite clear; very good + condition. 133rd Infantry 34th Division: The 34th Infantry Division (called the Red Bulls) was the first U.S. division deployed to Europe in World War II as it was deemed one of the most service-ready units. It included troops mostly from North Dakota, South Dakota, Minnesota and Iowa. After fighting in French Algeria and Tunisia, the 34th assisted in the Allied invasion of Italy, called Operation Avalanche. They landed in Salerno, took Benevento, assaulted Monte Patano, and persevered through intense fighting along the Mignano Gap, using goat herds to clear the minefield. They were nearly successful in Monte Cassino in January, 1944 at a cost of approximately 80% in the infantry battalions. This photo album is of the communications platoon within the 34th division. There are photos of German prisoners and both German and American wounded, along with some coffins being made in Italy. There are working pictures of soldiers: looking at maps, using communications equipment, peeps (later called a Jeep), German radio gear, ambushed peep, rifles/guns/mines, cooking, shaving, playing cards, meeting locals. Pictures of local areas include Pompei, Rome, Florence, Cassino, Futa Pass, Anzio, and St. Angelo Dâ€™Alife (where a member of the platoon lost his life). Misc. pictures of interest include: a pile of ammunition with a local dog sitting on top, vapor trails of flying fort bombers, and a soldier holding an official ballot for Kalamazoo County for the presidential election of 1944.